This guide lists some free widgets which you can use to create "Shop the post" style features in your blog. 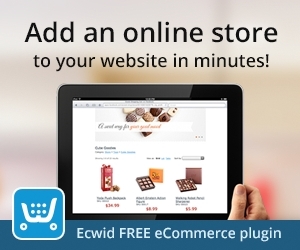 We also have premium plugin available from this page which allows you to create shopping features right from your WordPress dashboard. If you are based in Europe then you can also use the widgets/tools available from www.tracdelight.com. To create a list of products in a grid, like the example shown below, you can use the "Boutique" widget from either www.rewardstyle.com or www.shopstylecollective.com. If you're looking to create some income from your blog/site, you may find this guide useful. The features listed above are primarily designed to list products which are sold externally from your own site. If you would like to create a fully functioning shopping cart with your own products and features such as stock and shipping rules, you may find this guide helpful.